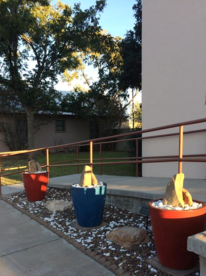 The Church of Christ is located on the corner of 2nd and Sul Ross Ave. Alpine is the gateway to Big Bend National Park and home of Sul Ross State University. The Marfa mystery lights, Fort Davis and the McDonald Observatory are nearby. Marathon, Texas, where the Gage Hotel is located, is just to the southeast down US Hwy 90. We are a bible based New Testament church, centered on worshiping God with outreach to the community with the gospel of Jesus Christ. Visitors are warmly welcomed to worship services that includes A Cappella singing and bible study in spirit and truth.